Divi 404 Extended will let you create a custom 404 page on your Divi based WordPress website. It uses the power of Divi library to create and store the layout for use as 404 page template. Making a visitor land on a 404 page is not an idea of a website, but it happens. With Divi 404 Extended plugin, you can create a custom 404 page on your WordPress website which can speak to your users and get them engaged with your content instead of leaving the website. Use power of Divi builder to create a custom 404 page layout using search and other modules. A user landing on a 404 page is highly likely to exit the website. 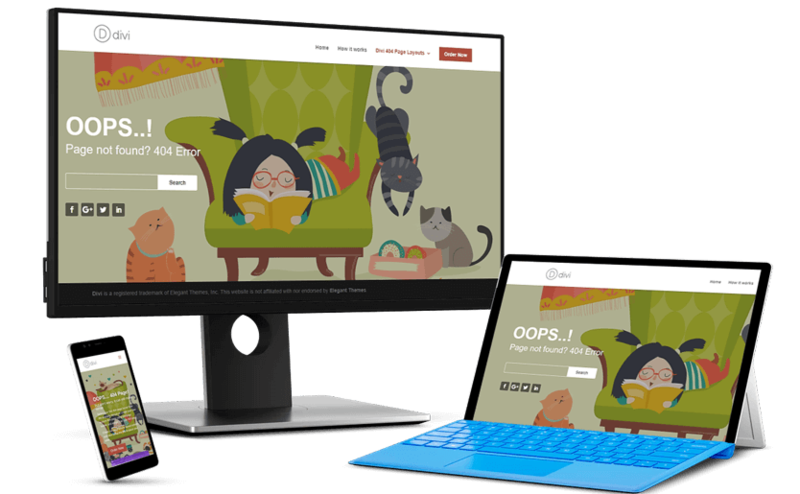 A custom 404 page will provide options to continue using the site. Already purchased the Divi 404 Extended and need assistance with it? We have some frequently asked questions available listed for this. You can also send us an email using the support link.